I got my very first tattoo!! 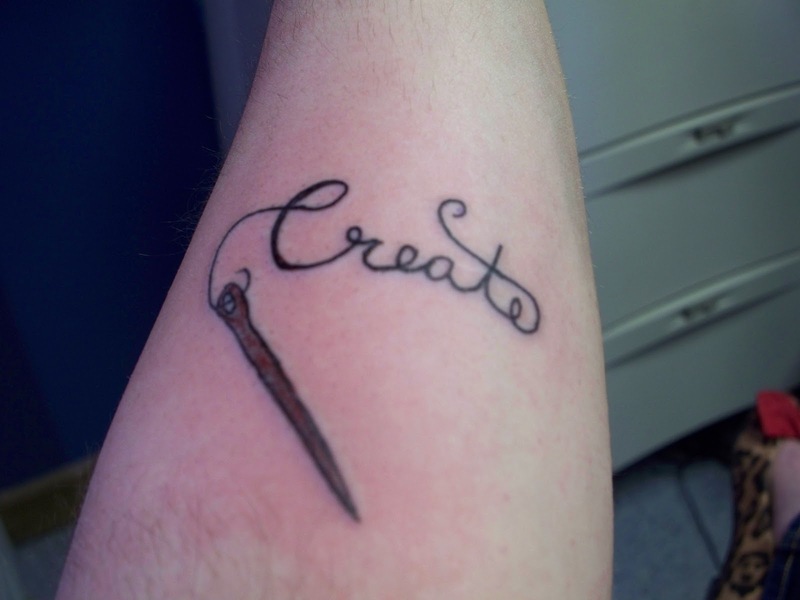 Of course it had to be a sewing related tattoo! What else would I get? I got it on my forearm. Here is a close up of it.. I promise the red in the needle is supposed to be gray. Since it is so fresh it is just a little blood there. I love it and cannot wait to go back for more. **Update** Just to show what it currently looks like now that it has healed. 4 Responses to Guess What I Did! How fun! 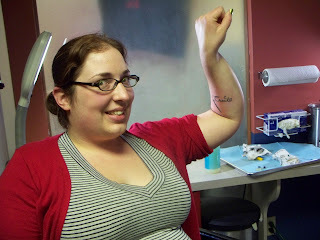 Tattoos fascinate me but I don’t do well with needles so I’ve been too chicken to get one myself. 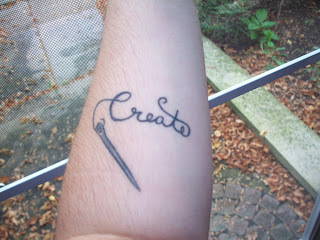 Cool tat, if I wasn’t such a chicken I would love to get a sewing related tatoo. congratulations on your first tattoo and a lovely one at that! !